Trending at C $276.10eBay determines this price through a machine-learned model of the product's sale prices within the last 90 days. SIM Dual SIM (Nano-SIM, dual stand-by). NETWORK Technology GSM / HSPA / LTE. LTE band 1(2100), 2(1900), 3(1800), 4(1700/2100), 5(850), 7(2600), 8(900), 12(700), 17(700), 20(800), 28(700), 38(2600), 40(2300), 41(2500) - USA. 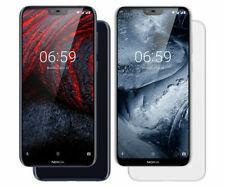 Nokia 7.1 TA-1085 64GB 5.8" 4G LTE GSM Unlocked Dual Sim Smartphone - Condition is Used great condition. Shipped with USPS Priority Mail. Used about 2 mo. See pictures. 2 cases incl. Dual sim Dual Sim Stand-By. Internal storage 64GB. SIM card size Nano-SIM. We apologize for any inconvenience caused. See More, Enjoy More. - Android 8.1. Delay of order dispatching from 4th-7th April. Trending at C $306.18eBay determines this price through a machine-learned model of the product's sale prices within the last 90 days. Wireless frequencies for 3G, 4G, and LTE vary by network. Network : Factory Unlocked, works on all GSM networks in the world(The phone is NOT compatible with CDMA networks, such as Verizon, Sprint, Boost, etc.). Trending at C $200.52eBay determines this price through a machine-learned model of the product's sale prices within the last 90 days. We are not responsible for any settings issues, it is your responsibility to make all the features work with your carrier. Qualcomm Snapdragon 630 processor. after 48 hours we will not honor any complain regarding defect or any other issue related to phone. 5 out of 5 stars - Nokia - 6.1 TA1045 32GB Cell Phone Factory Unlocked smart phone Black !!!!! 9 product ratings9 product ratings - Nokia - 6.1 TA1045 32GB Cell Phone Factory Unlocked smart phone Black !!!!! Trending at C $222.63eBay determines this price through a machine-learned model of the product's sale prices within the last 90 days. Its 19:9 HD Notch Screen Ratio and Edge-to-edge Design maximise your viewing experience. Nokia 5.1 Plus (Blue, 32 GB) (3 GB RAM). The Nokia 5.1 Plus has been designed to amaze and engineered to perform. The item is in mint condition and has been fully tested. The screen has one small scratch that looks like a tiny bit of dust. New Microsoft Lumia 950XL. GSM / HSPA / LTE. · 32GB of built-in storage; expandable via a microSD slot. LTE band 1(2100), 2(1900), 3(1800), 4(1700/2100), 5(850), 7(2600), 8(900), 12(700), 17(700), 20(800), 28(700), 38(2600), 40(2300), 41(2500) - USA. Type: 4G Phablet. CPU: Helio P60 octa core. CPU: Helio P60. Cores: 2.0GHz,Octa Core. Storage: 3GB RAM 32GB ROM, TF card up to 256GB (not included). RAM: 3GB RAM. 4G LTE: FDD B1 2100MHz,FDD B3 1800MHz,FDD B5 850MHz,FDD B8 900MHz. Enjoy the full range of Microsoft services for free with Microsoft Lumia 640. It sports a 5” Gorilla glass 3 display giving you a vivid output display. Other features include an FM Radio, Xbox and OneDrive. 13MP 5MP. 13MP PDAF f/2 5MP Depth Sense. 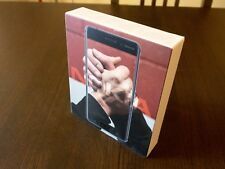 Nokia 5.1 Plus (Black, 32GB). The new Nokia 5.1 Plus has been designed to amaze and engineered to perform! Also, the AI assistance takes your photos to the next level with features such as Bokeh Blur and Portrait Lighting. Nokia 8 Sirocco Phone. Qualcomm MSM8998 Snapdragon 835. - Nokia OZO audio with 3 mics. - MP4/H.264 player. - MP3/WAV/eAAC /FLAC player. - 1 x User Manual. - 1 x USB Cable. No Locks - Looking for a new phone but afraid you might lose your old phone number?. SIM Hybrid Dual SIM (Nano-SIM, dual stand-by). 2G bands GSM 850 / 900 / 1800 / 1900 - SIM 1 & SIM 2. Card slot microSD, up to 400 GB (uses SIM 2 slot). I. Accessory,attached peripheral,free gift sold with main unit. Factory Unlocked NOKIA 6 Black 64GB Android Smartphone. this device is in excellent condition with only light signs of wear. This device has been carefully tested to ensure full functionality. Nokia Microsoft Lumia 950 XL Smartphone Black Color 20 MP 4G LTE 32GB 5.7"
New Microsoft Lumia 950XL Black. GSM / HSPA / LTE. · 32GB of built-in storage; expandable via a microSD slot. LTE band 1(2100), 2(1900), 3(1800), 4(1700/2100), 5(850), 7(2600), 8(900), 12(700), 17(700), 20(800), 28(700), 38(2600), 40(2300), 41(2500) - USA. Upon testing, the device is fully functional. Black - Dual Sim Unlocked. Nokia 7.1 (TA-1085) 64GB. Fully Functional. There are no exceptions. IMPORTANT INFORMATION. I am always looking for the perfect item for you. The Nokia 6.1 carries on in the tradition of it's predecessors and is built to. 6000 Series aluminum, the Nokia 6.1 has distinctive two-tone anodized Diamond. last, with Pure, Secure and up-to-date Android.